Plexconnect is considered as one of the best hacks which have come to the Apple TV last year. This is a beautiful little program that took all the Apple TV’s Trailer Channel and then connected to the Mac where you will find the Plex home media library. The term hack means streaming of Mac’s entire video or media library to the Apple TV by navigating with the help of remote, there is no requirement of AirPlay. Though many found his interesting and helpful but as Apple was not fond of it so it stopped but few days back, it resurfaced again. Few days back there was an Apple TV update which added channels for Vevo, Disney, the Weather Channel, Disney XD and SmithSonian. All good things come with a hefty price tag and these channels are no exception as they also have a cost attached to it. Apple has fixed the vulnerability of the Trailers which was the main reason behind the simultaneous work of PlexConnect. The experts say that PlexConnect worked because the Trailers Channel lined all its video uniquely on Apple TV over http and not Https. At the end of protocol, an addition of the extra S proved fatal as Plexconnect was broken for good. The good thing about PlexConnect is that it works absolutely alright even without updating the Apple TV. There may be few channels which cannot be seen but that doesn’t make this a crap instead hold on to it as something will come up which will take you by surprise. When compared the other hack based app it seems that PlexConnect is far better method of getting Plex on your Apple TV. There is always a hide and seek game going on between Apple and Plex keeping the customers guessing all the time. Looking at the high interest level of the people in the project, hopefully Apple will come out with a SDK for the ATV in the future. 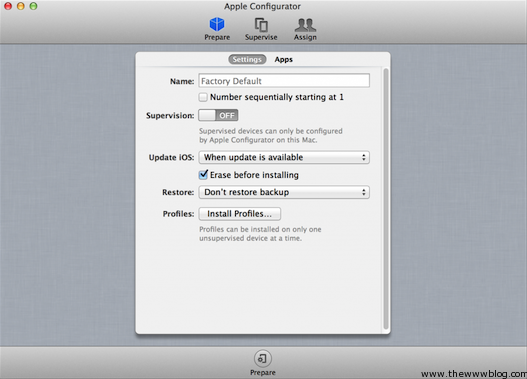 Apple TV + SSL + PlexConnect – Apple configurator or iPhone Configuration utility, then a microUSB cable which will be attached to Apple TV and then following the instructions to update the PlexConnect software. Creation of cert – run a command in the terminal window which will be creating 2 files on your desktop and follow some other steps to complete the cert creation. Creating the profile – when you turn the supervision on you will see profiles appearing on your screen. There you need to click on the plus sign to create new profile. Putting it together – when everything is created and installed then you will have to put all of them together and run it. If you have done everything right then it will work otherwise just go through all the steps all over again carefully. So, now when you have an idea about what to do then you will be able to fix the Apple TV hack.